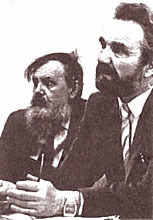 Leonid Mihailovich Goryushkin (1927-1999) is an outstanding Siberian scientist who made a significant contribution to the studying of the history of Siberia of 19-20 centuries and who prepared a great group of historians. In 1951, he graduated from the historical department of Tomsk State University (TSU) and until 1959, he taught in high professional schools and higher educational institutions. Then he worked in Tomsk Komsomol bodies, at the position of the second (1956) and the first (1957-1959) secretary of Tomsk City Komsomol Committee. In 1959-1961, he held the postgraduate study of TSU. In 1961, L.M.Goryushkin entered the Siberian Branch of AS USSR and worked as junior research assistant of the Department of Humanitarian Research in the Institute of Economics and Industrial Engineering (until 1966), then as senior research associate, as the sector head, as the head of a department of the SB RAS Institute of history, philology, and philosophy (1967-1990), director of the Institute of history of the United Institute of history, philology, and philosophy of SB RAS (1991-1998). Since 1998, L.M.Goryushkin is RAS adviser. He taught in Novosibirsk State University, as a senior teacher (1963), a senior lecturer (1966), and the professor of the sub-faculty of the USSR history (national history). Basic works of Leonid Mihailovich deal with the agrarian history and farmer study within a wide chronological range (the middle 19th - middle 20th century). He has made a significant contribution researching the problems of Russian economy multistructure, typology of Russian suburbs, mass migratory movements to the eastern regions of the country, social psychology of peasantry, folk labour traditions, business development, trade, charity, and the role of the foreign capital in a pre-revolutionary epoch. L.M.Goryushkin became one of the pioneers in application of electronic computational machines and quantitative methods in historical research, particularly when treating the materials of agricultural census of 1916 in Tomsk province (1969). 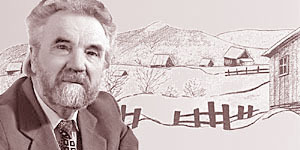 The achievements of Leonid Mihailovich in the field of historical regional studying (Siberia studying) are indisputable. He headed the creation of collective researches in the history of Novonikolaevsk-Novosibirsk, in the history of peasants' rebellions in Siberia during the early 20th century. He coordinated the historical research in Siberian region in domestic history of pre-revolutionary period. L.M.Goryushkin was the associate editor and the author of sections in the 3-rd and the 4-th volume of «The history of Siberia», the editor-in-chief of the 2-nd volume of «History of Siberian peasantry», the head of the studies on history of political exiling and penal servitudes in Siberia, one of the organizers and managers of the purpose research program «Historical experience of Siberia exploration». By means of his works, L.M.Goryushkin made for a formation of new conceptual approaches on studying the role and the part played by the Siberian region in context of Russian and world development over 19-20 centuries, modernization processes, co-interaction between the Centre and Eastern Russian territories, for formation and development of regional identity and civil society structures in the east of the country. L.M.Goryushkin headed the Siberian section of RAS Scientific Council on history of three revolutions in Russia; he was the Chairman of Scientific Council on SB RAS museums, editor-in-chief assistant of the magazine «News of the Siberian Branch. A series of history, philology, and philosophy» (since 1994 - «Humanities in Siberia»), associate editor of «Sibirica» international magazine, and a member of the International Academy of Sciences of the higher school (1995). Awards of Leonid Mihailovich include orders «the Honour Badge» (1986) and Friendship (1996), together with some medals. He is the Honored Worker of Science of the Russian Federation (1991). * Sources: 1) Goryushkin Lyeonid Mikhailovich: bibliogr. nauch. tr. / Ros. akad. nauk, Sib. otd-niye, In-t istorii; sost. Nozdrin G.A., Goryushkina I.A. - Novosibirsk: Izd-vo SO RAN, 1997. 2) Goryushkin Lyeonid Mikhailovich // Rossiiskaya akadyemiya nauk. Sibirskoye otdyelyeniye: Pyersonal'nyi sostav / Sost. YE.G.Vodichyev i dr. - Novosibirsk: Nauka, 2007. - S.350-351. Updated: Wed Feb 27 14:46:34 2019. Size: 11,347 bytes.